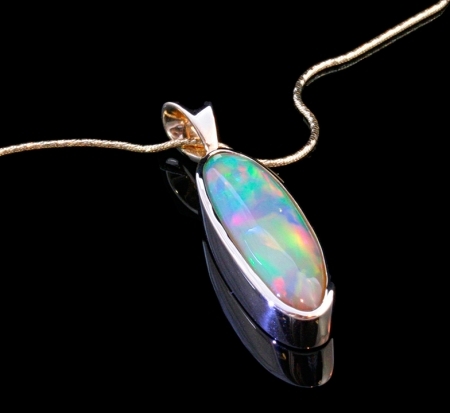 Fire flashes in this fantastic Opal pendant. From a relatively new mine in Ethiopia these opals have the most amazing fire. 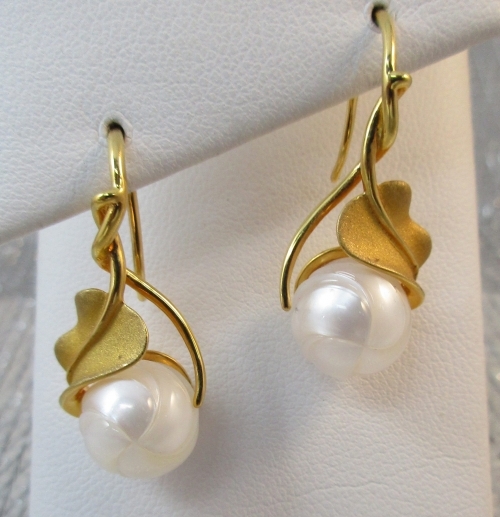 This marquise shaped piece and a solid 14k yellow gold backing and a large bail perfect for an omega chain. 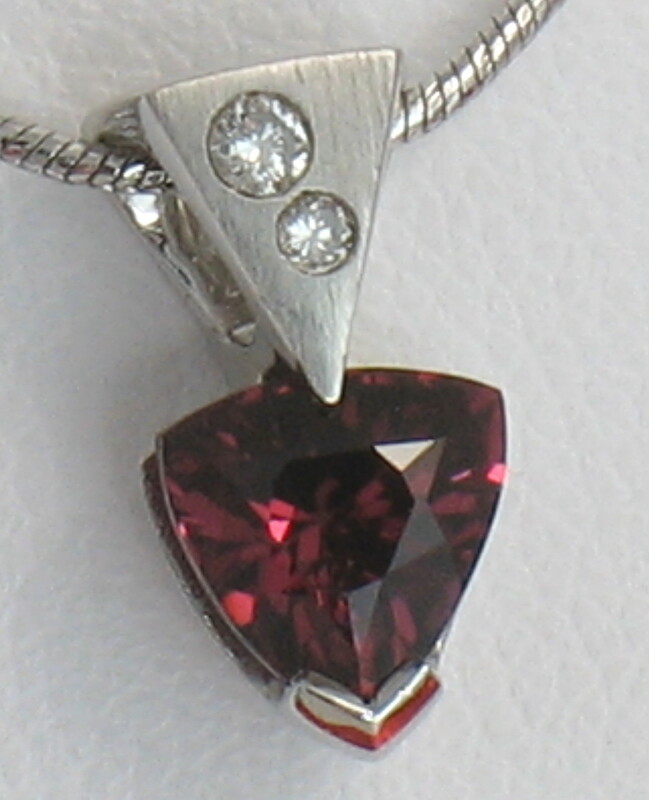 This pendant does not include a chain; please call or email us if you’d like advice on available chain options.